Move over, Ng brothers! Singapore’s richest person is now 35-year-old Eduardo Saverin. Since 2010, real estate magnates Robert and Philip Ng have topped Singapore’s most wealthy list. That all changed recently, when Facebook co-founder Eduardo Saverin overtook the siblings after Facebook’s stock went up by 13%, becoming Singapore’s richest person, Forbes reports. Saverin is now worth approximately US$10.1 billion, versus the Ng brothers’ $10 billion. He gets most of his wealth from his stake in the $500 billion dollar social network, but has also made investments in several startups in and around Southeast Asia. But who exactly is Saverin? Read on to find out. It was in his junior year in Harvard when Brazilian-born Saverin met sophomore Mark Zuckerberg. Together, they created a social network especially for Harvard students, which has since evolved into a platform we all use today: Facebook. In Facebook’s early years, Saverin was the chief financial officer and business manager. But he and Zuckerberg haven’t exactly had the best working relationship. Business Insider reports that when the company moved to Palo Alto, Saverin decided to stay behind on the East Coast and work on other business ventures. When he started to feel left out, he froze Facebook’s bank account. Zuckerberg then cut Saverin from Facebook and reduced Saverin’s stake in the company, which resulted in multiple lawsuits that were eventually settled out of court. Saverin was given 4-5% of the company, and was reinstituted as a co-founder of Facebook. Those of you who have watched The Social Network will be familiar with the aforementioned startup drama. To refresh your memory, Saverin was played by Andrew Garfield, who was nominated for a BAFTA and a Golden Globe for his performance. Saverin met Andriejanssen while they were both students. She attended Tufts University. The couple got engaged in 2014, and got married in France in June 2015. Andriejanssen’s family runs several businesses in Indonesia. In 2015, Saverin founded B Capital Group, which focuses on helping B2B and B2B2C startups in Asia scale globally. 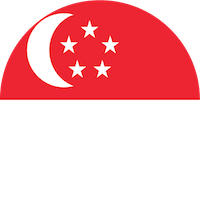 Some of the startups that Saverin has invested in include Singapore-based 99.co, Philippine-based Ninja Van, and most recently, Indian fintech startup MSwipe.